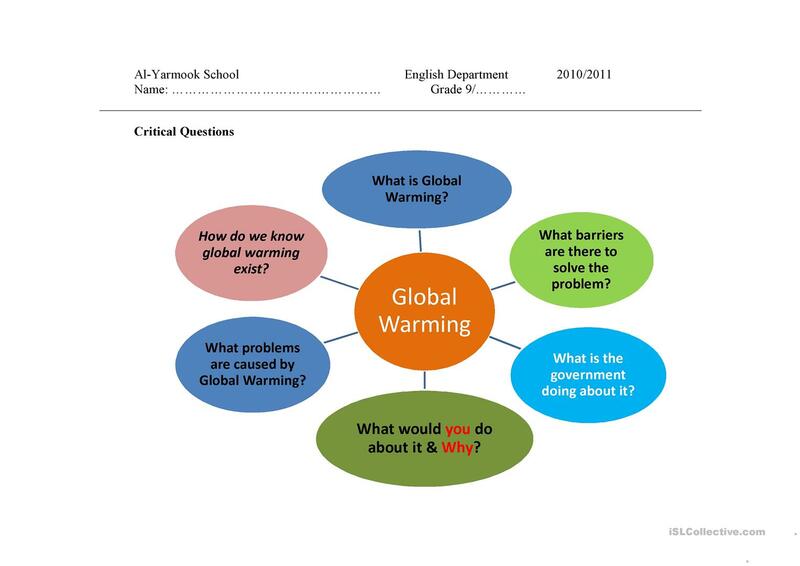 These are critical questions as a pre-writing stage about "Global Warming". The present downloadable teaching material is meant for high school students at Upper-intermediate (B2) level. It can be used for improving your groups' Writing skills.